Coast Salish Territory/Vancouver – On the heels of the news showing that the Trans Mountain Pipeline project will increase in cost, and that is part of what taxpayers are currently paying for after the Federal Liberals bought the pipeline project, The Union of BC Indian Chiefs (UBCIC) have spoken out about the cost overrun projection. 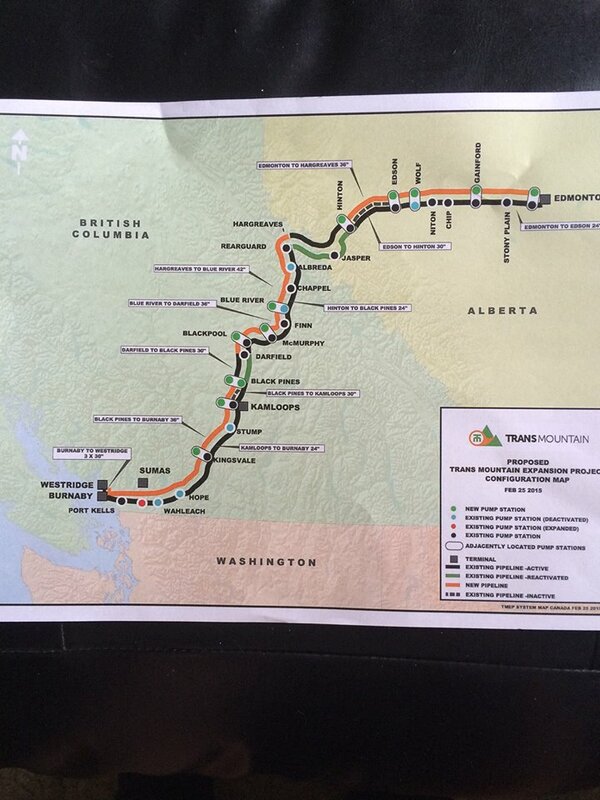 The Union of BC Indian Chiefs (UBCIC) is frustrated and outraged with the $1.9 billion increase in estimated construction costs for the planned Trans Mountain pipeline and tanker project released by Kinder Morgan yesterday. The additional $1.9 billion means that Canada’s deal with Kinder Morgan was based on an outdated construction cost estimate of $7.4 billion, an estimate that was not publicly disclosed to Canadian taxpayers when the deal was announced. It was also revealed that the completion date for the project will be delayed—again— by at least a year. FVN has reached out to Trans Mountain for comment. Be the first to comment on "Union Of BC Indian Chiefs Open Letter To Trans Mountain Pipeline – Concern Over Cost Increase"